Located on Main Street in Morro Bay, just blocks from all the best shops and restaurants in town. The Masterpiece Hotel is a unique and stunning property, decorated with reproductions of great artistic masterpieces. 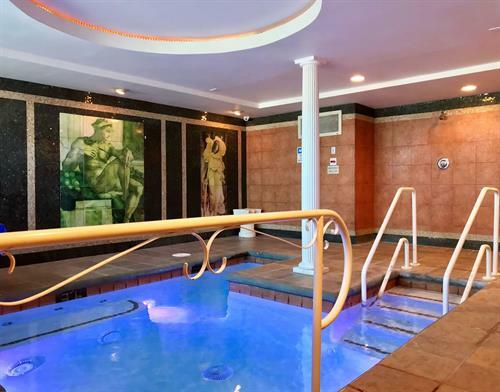 The Spanish-Moorish architecture adds a unique element of style, while the Roman Style Hot tub provides the ultimate in relaxation. Complimentary wine and cheese is served daily, making your stay a truly luxurious experience. Get a taste for California beach life and feel your worries melt away. Your blissful getaway starts here.